Optimize your photos and remove unwanted elements. Create extraordinary vector graphics and exciting illustrations – and then combine everything in a spectacular collage or layout. 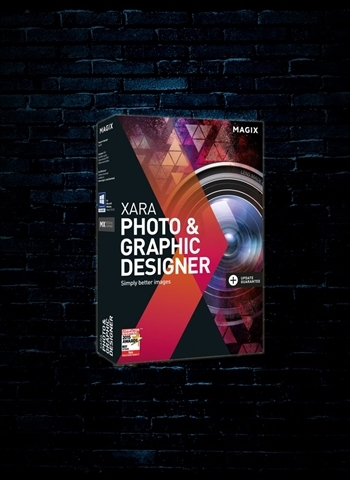 The program includes the pro graphics engine that also powers Xara Designer Pro X, so you'll be able to create outstanding results in no time at all – even on older PCs. From quick image optimization to detailed retouching, the program contains everything you need to transform your images into amazing works of art. Create your own vector graphics and illustrations. You can enlarge, shrink or edit these later without any loss of quality – graphic design is now more fun than ever before! Combine your images with text and graphics to create sensational collages. Create personal greeting cards or invitations and surprise your family and friends.